Is Your Building Industry Career Worth $25? This note is for you, my fellow trade partner and home building industry professional. We’ve been through a lot together as teammates in the protection of our industry. This industry has provided both of us with careers and our livelihoods. 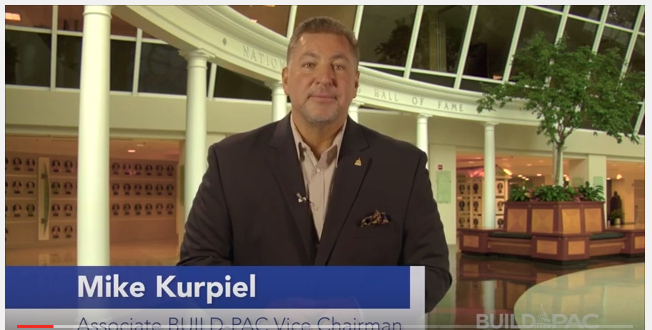 I hope you now have clearer vision of why BUILD-PAC is important to all of us as Associates. All I am asking is your Fair Share: just $25 to BUILD-PAC. That’s less than 50 cents a week. You can do your Fair Share by clicking here. You’ll need your NAHB identification number to access the website (you can obtain from your local executive officer). Like I explained in the video, I’ve invested, and will continue to invest because I believe our industry needs to be protected from the harsh regulatory environment that keeps us from getting more homes built. Thank you so much for taking the time to learn more, and welcome to the BUILD-PAC team.